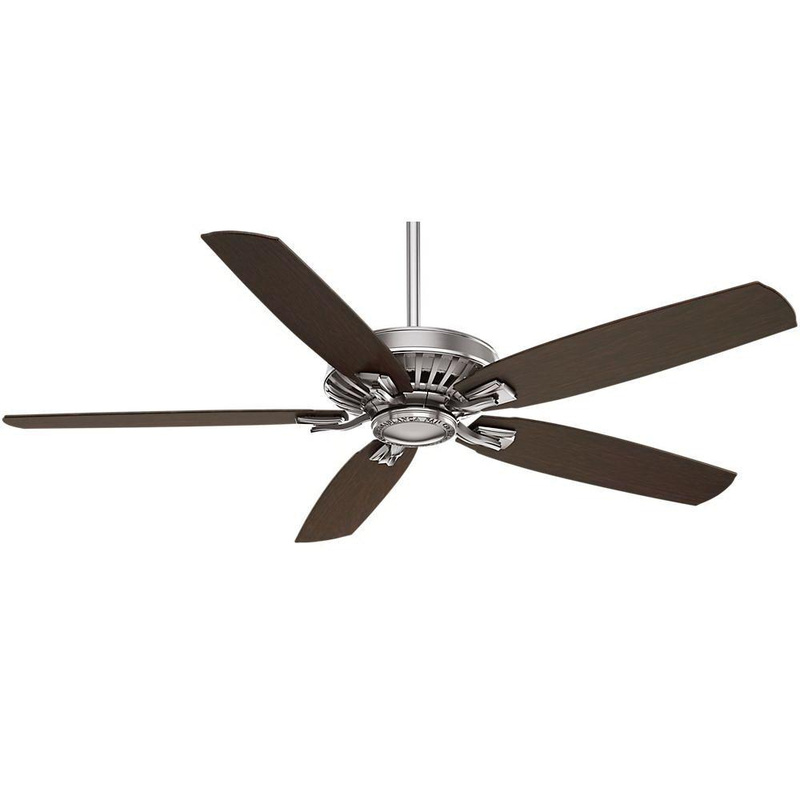 Hunter Crestmont/transitional ceiling fan with remote, has five blades. It offers low speed of 48 RPM, medium speed of 122 RPM and high-speed of 171 RPM. Ceiling fan has voltage rating of 120-Volts and current ratings of 0.718-Amp, 0.607-Amp and 0.498-Amp at low, medium and high speeds. It has power rating of 48.4-Watts at medium speed and 10.4-Watts at high-speed. Ceiling fan with brushed nickel finish, has platform wall control system for easy speed alteration. It has 188 x 20 mm direct drive. Ceiling fan offers flow rate of 4969 CFM at low speed and 2319 CFM at medium speed. It includes 3-Inch downrod and 2-Inch downrod. Ceiling fan is ETL listed.